Clint had a night flight today so that means, he is home for breakfast! I decided I would make something yum that would hang with him for a while, since days like today are very busy! 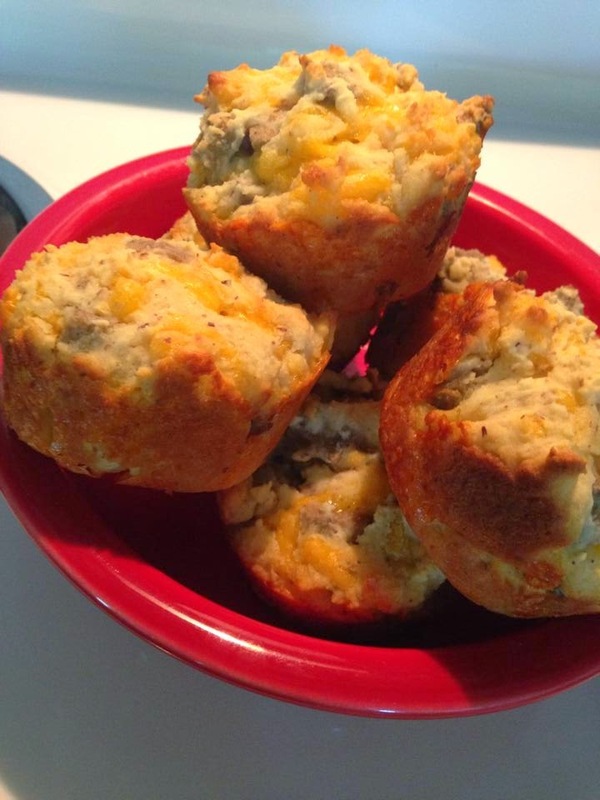 I've made these muffins a few times but I've never written down the recipe until today!!! I hope y'all love them as much as we do!!! Sorry there's no picture! My computer has a virus and I can't add a picture right this minute from my phone! ENJOY!!! Combine all ingredients (in the order above) and place into greased muffin tins. Bake on 350 for 14-16 minutes. Brush with butter immediately after coming out of the oven. Yield: 6-9 depending on size.